Cushioned seat and base for comfort. Black steel base with straight legs. Black PVC-free faux leather upholstery. Perfect for waiting areas, conference rooms or guest seating. Stack up to 4 high. 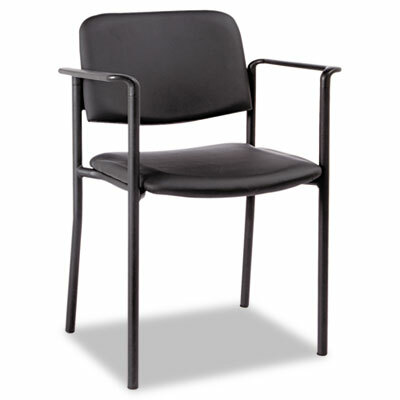 Multi-purpose chair with black PVC-free faux leather upholstery. Cushioned seat and black steel base with straight legs for comfort. Perfect for waiting areas, conference rooms or guest seating. Steel construction for strength and durability. Stack up to 4 high.